You may not recognize the name, but if you've interacted with Triangle hip-hop at all during the last several years, you likely know Napoleon Wright II's work. His production, singing and directing have established him as one of the area's most abundantly creative people. Only a month ago, he issued the six-song EP GIVENTAKE, produced with collaborator Jared Wofford under the name ART NAP. 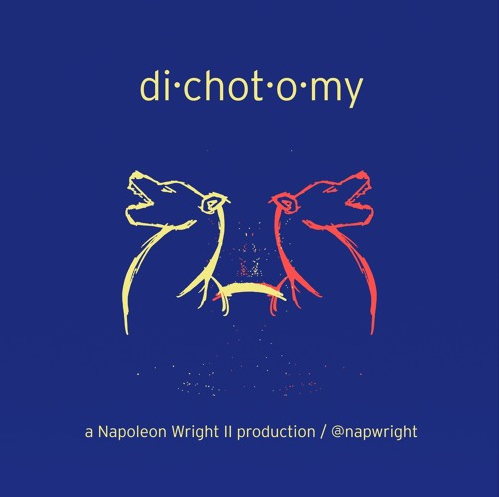 Already, he's returned with a new instrumental LP, dichotomy, a whirlwind of a record that reinforces his productive reputation. Napoleon Wright II is a man of many talents. He raps, sings, plays instruments, produces beats, directs films and videos, even runs his own creative firm, Pan II Creative. And recently, he was in LA, taking part in a B-boy battle with his crewmates, the Raleigh Rockers. Napoleon Wright II is a motion and graphic designer as well as a music producer and vocalist. Napoleon began his design career working in public relations and corporate environments. He now utilizes that background within his own company, Pan II Creative.